What's life without beach holidays? Beach tours in the Indian subcontinent are quite popular with tourists from every corner of the world. A holiday on the beach offers a lot of fun and excitement – golden sand, tanning, padding in waves and multiple adventure sports. Wherever you head in India, you'll find plenty of beach tour options. Though Gujarat, Kerala, Maharashtra, Tamil Nadu, Pondicherry and Odisha are all well-known beach destinations in India, the state of Goa is #1 on the list of wonderful beach destinations. In fact, Goa (boasting around 40 pristine, long sandy beaches) is termed as the 'Beach Capital' of India and it continues to pull in hordes of beach lovers, year after year. Some of the finest beaches in India include Ganpatipule Beach (Maharashtra), Karaikal Beach (Pondicherry), Puri Beach (Odisha), Varkala Beach (Kerala), Kovalam Beach (Kerala) Baga Beach (Goa), Calangute Beach (Goa), Anjuna Beach (Goa) and Candolim Beach (Goa) among others. There are many more Indian beaches where you can indulge in fun and frolic, soak up the charm of the environment, enjoy a range of adventure sports, organize parties or simply spend some quality time with your close ones. There are multiple options for a Beach Tour as suitable for every type of traveller – backpacker, family, group of friends, couple. When talking about the Indian subcontinent, Sri Lanka too has a great deal of fun to offer in terms of beach holidays. The country's West Coast, South Coast and East Coast are home to a number of expansive sandy beaches. Some of the best Sri Lankan beaches include Unawatuna, Bentota, Arugam Bay, Mirissa and Uppuveli. During your beach tour in the country, you'll come across beautiful lagoons, tiny villages and a laid-back charm that will simply bowl you over. Whale watching in Sri Lanka is a lot of fun too. So, when are you planning your next beach holiday? At Max Holidays, we have an array of beach tour packages to choose from. Since there are so many beaches, choosing where to go and when can sometimes become overwhelming. If you have made up your mind to plan your next beach tour in India, all you need to do is select a tour package that suits your requirements to the best. In case you want something additional or removed from a particular tour, our team will get it done for you in minutes. "Well, I love beaches! Till now I have been to hundreds of beaches all over the world and it was India’s turn now. I chose Max Holidays for accompanying me during my Beach Tour as I had heard a lot about the patience and a sense of cooperation in these guys! We visited Goa. The journey was indeed memorable one. " "I along with my wife and two daughters were planning to visit the Indian beaches from a long span of time. Our plan was finalised after having a conversation with the Max Holidays. The way they have already planned their itinerary for the same, my husband was quite impressed. Chennai is a great place. We had a great time. " 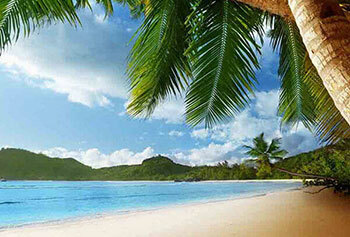 "I along with my parents decided to visit the Andaman and Nicobar Islands. I was awestruck by its beauty. Though we were new to this place, we had Max Holidays to help us in our whole trip. 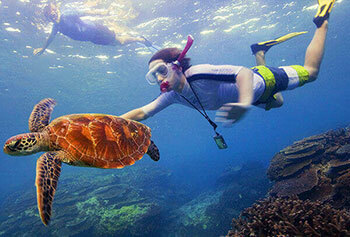 I also experienced the beauty of the marine life under water through swimming. My trip was quite unique and is really unforgettable."